Meet Anna, a sniper with the Rangers. Meet Anna. 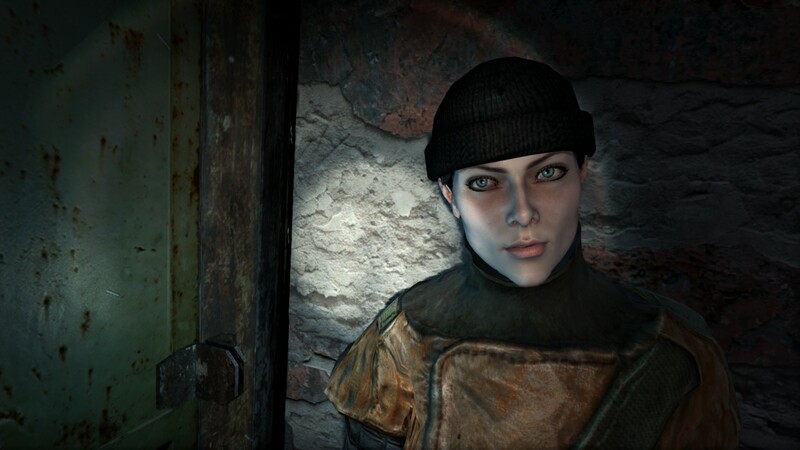 She’s the first female character in the Metro series to have a name — other than Nikki the prostitute from the first game. Which means, if you couldn’t guess, today I’m writing about the sexist undertones in Metro: Last Light. If you thought you’d never see the word “sexist” here on Space-Biff!, you’re not the only one. Since this is a site about the things I like, I don’t often talk much about the things I don’t like. Even my few negative reviews only exist because I really enjoy panning bad games. The thing is though, I really like both games in the Metro series. For the most part, they encourage thoughtful, even considerate, behavior. That’s a rarity in any genre of videogame, let alone in the first-person shooter genre, which one could argue makes its bucks by being the exact opposite of “thoughtful.” In fact, I’d go so far as to label Metro 2033 as one of the most moral games I’ve ever played — which is precisely why the sexism in Last Light bothers me so deeply. What a beautiful world we managed to destroy. It’s more than a little flattering that my most-received request for Space-Biff! 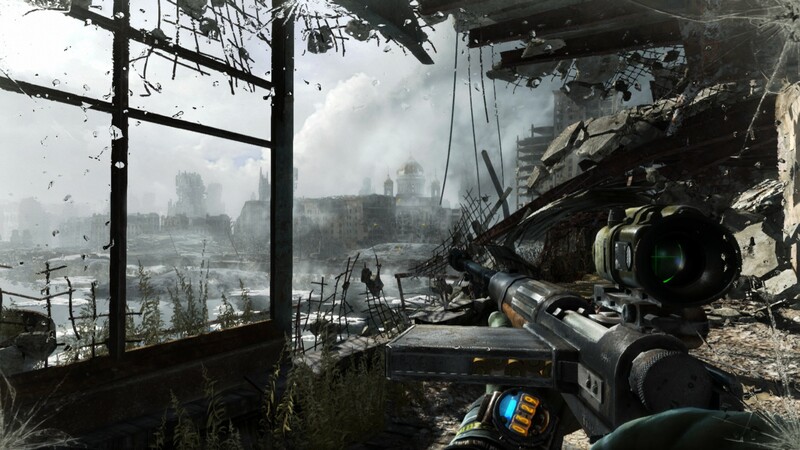 is for my thoughts on Metro: Last Light from 4A Games and Deep Silver (and formerly THQ, rest in peace). This is probably owing to the synopsis I wrote last year, which you should totally read, if only because it makes me feel beautiful on the inside. My one hangup in delivering an actual review is that, while I’d love to fall back on a tried-and-true critique like “it’s two steps forward and one step back,” the reality is more that Metro: Last Light is dancing the Charleston, with so many steps, leaps, and bounds in every direction, that in the end I can’t be sure which direction it’s moved at all. Which isn’t to say I don’t have thoughts on the proceedings — I’ve got plenty. And you can read them below, in a format that includes only a few minor spoilers. Life in the Moscow Metro. I’ve finally finished writing up my synopsis of the story and themes of Metro 2033, a brilliant game and one of my all-time favorites. Below is the index. It’s a small index, since I only wrote five parts, but still, it’s below. Ostankino Tower, surrounded by flying mutants. Act Five marks the end of Artyom’s (and your) journey, and lets you know it by starting right where the game’s introduction left off: Artyom and the Rangers are under siege, both by hordes on the ground and hordes above. Overhead looms the final objective, the imposing Ostankino Tower, where the Rangers hope to call down fire on the Dark Ones. As the Rangers’ lines are breached from every direction, and even as their armored car is thrown onto its side like a toy, Artyom is knocked down by a diving monster. 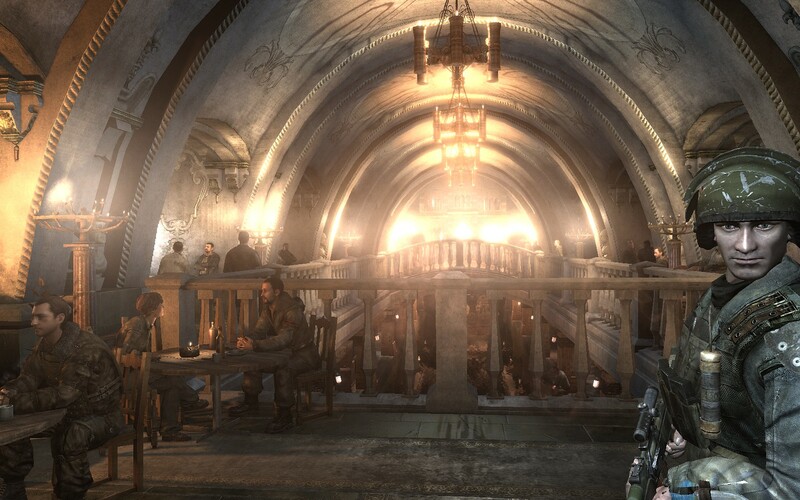 Artyom’s come a long way, and seen things he couldn’t have imagined back when he left Exhibition Station. He’s done both great and terrible things too. Now, here in the windswept dark, his journey is coming to an end, one way or another. A brief glimpse of the splendor of Polis. 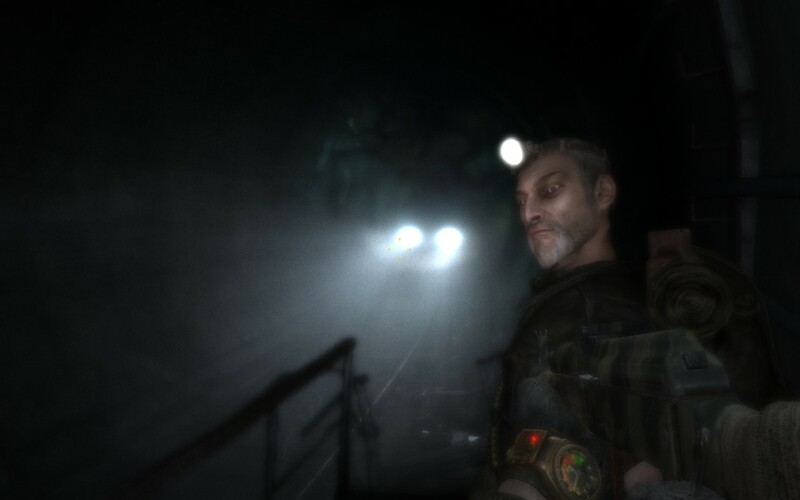 Act Four begins with Artyom successfully completing his original mission to reach Polis and tell them about the Dark Ones that are invading his home station. 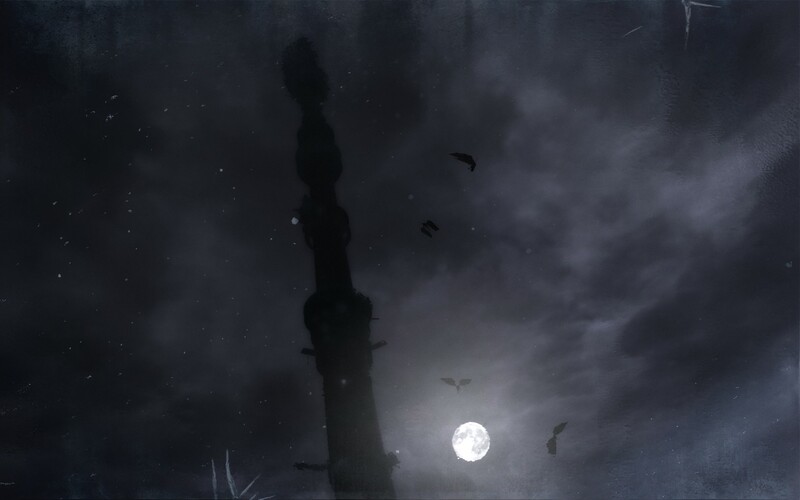 We know this can’t be the end of Artyom’s story, not only because then the game would have been shockingly short and lacked any real endgame climax, but because the opening scene of the game was of a desperate windswept battle against a horde of mutants at the base of a mysterious tower. 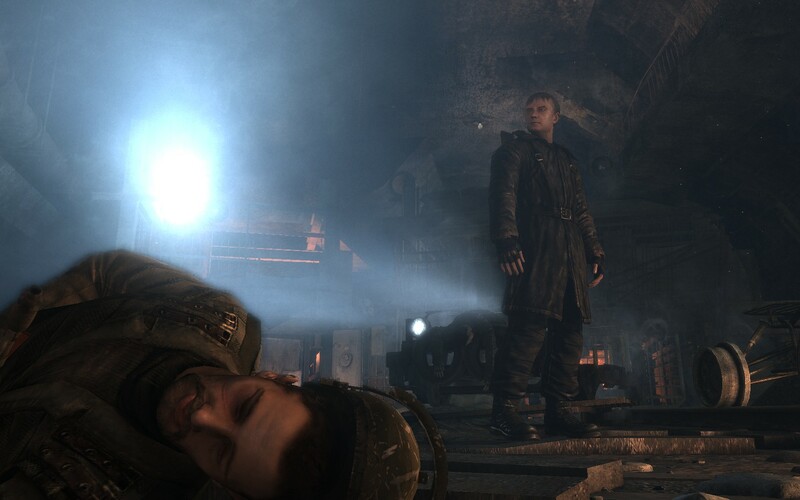 Act Four is all about getting Artyom there. It’s the closest thing Metro 2033 has to a “filler” chapter, and even then there are still plenty of disturbing secrets to unearth and dreadful locations to visit. A commissar’s idea of asking for volunteers. I believe that each of Metro 2033’s five acts has a distinct goal. The first introduced us to the Moscow Metro and informed us that humanity isn’t going to be improving their quality of life anytime soon, and the second battered us over the head what sounded a lot like a theme. The third does something else: armed (hopefully) with what you learned from Act 2 (if you were listening), Act 3 is all about testing the state of Artyom’s heart (and, by extension, yours). I’ll explain. 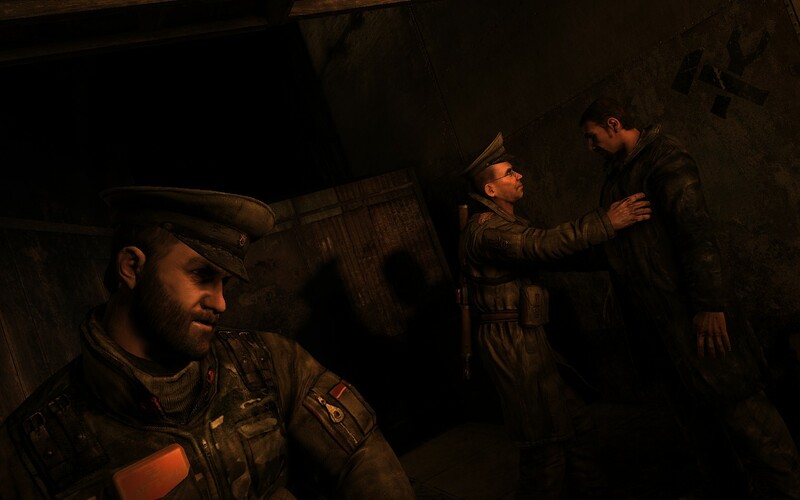 Okay, so Metro 2033’s first act left us good and depressed. The world is broken, and it’s painfully unlikely that humanity’s dreams of rebuilding it will ever be realized. At best, humanity can hope for the relative dignity of extinction. Yay. And then the second act comes along and plays with what we already know about the bleak Moscow underground. Tonally, it’s a complete one-eighty from Artyom’s early adventures. Not in terms of bleakness—things are still outlandishly grim. It doesn’t inject cheer or hope or anything like that. Instead, it gives its world a shot of religion, and mulls a bit on the state of mankind’s soul. Life in the post-apocalyptic Moscow Metro is desperate and short. I originally began writing Space-Biff! to talk about four games. On September 20, Space-Biff! will be turning one year old, and I’m ashamed to say that even as we approach our baby’s birthday, I’ve only written about one of those four titles—and I haven’t even managed to finish writing the game diary for that one. Well, this procrastination will stand no longer! 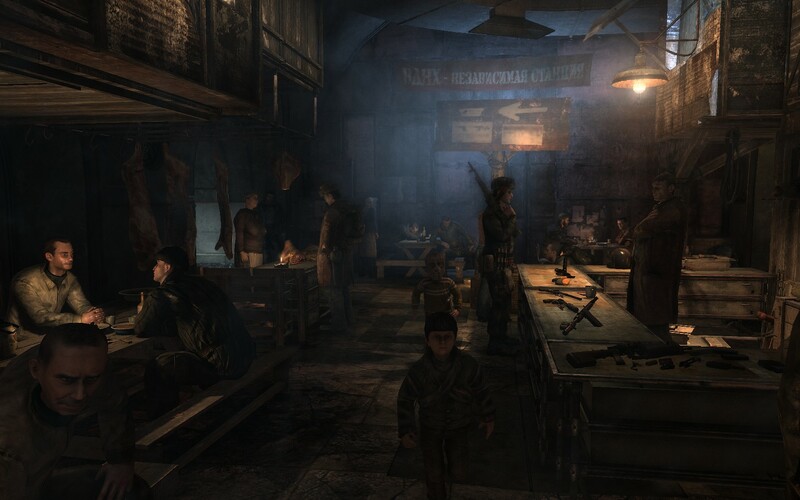 The goal is to eventually write five articles, one for each of the game’s five broad segments, talking about the story in some detail and explaining how Metro 2033 appeared out of nowhere and weaved a masterful tale of hope and despair at the tail end of humanity’s run. This will be wildly self-indulgent, but since this entire site is basically me sitting in a darkened room making car noises with my mouth and playing make-believe that the entire internet relies solely on me for PC gaming information, it’ll fit right in.